HSS Engineers Berhad, an engineering and project management services provider is scheduled to be listed in ACE Market of Bursa Malaysia on the 10th August 2016. The Initial Public Offering (IPO) consists of 63.8 million new ordinary shares and offer for sale of 31.9 millions existing shares at an IPO price of RM0.50 per share at RM0.10 par value. 71.79 million shares will be for private placement & selected investors, 15.95 million shares to the Malaysian public and the remaining 7.98 million shares made available for eligible directors, employees and business associates/persons who have contributed to the success of HSS Engineers Group. The IPO will raise about RM31.9 million in proceeds. Out of this, RM24 million for expansion/ventures, RM4 millions for repayment of bank borrowing, RM0.7 million for working capital & the remaining RM3.2 million is for listing expenses. The company involves in various segments of the construction industry, including urban infrastructure, highways, railways and airports. The group had previously been involved in landmark projects such as the Mass Rapid Transit (MRT) Line 1 and 2 and the West Coast Expressway. More information regarding the company can be found in HSS Engineers webpage. For the time being, HSS Engineers does not have any fixed dividend policy. The table below is the financial summary of HSS Engineers. * Based on number of shares post IPOM&A Securities Sdn Bhb is the adviser, sponsor, underwriter and placement agent of the IPO. For those who are interested in HSS Engineers IPO, you may subscribe at ATM machines or via Internet Banking. The retail subscription period is opened until 22nd july 2016 at 5pm. Tentative balloting date is on 27th July while the allotment date is on 8th August 2016. 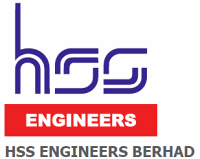 HSS Engineers stock name in Bursa Malaysia is “HSS”. View HSS Engineers prospectus in Bursa Malaysia webpage. What do you think about HSS Engineers IPO? Are you going to subscribe? I’m interested in their BIM capabilities. Read somewhere that BIM is the future of construction, and there are no other BIM players in the market. There is potential to grow. Definitely a good buy.